In an exciting change for AdWords advertisers, Google has updated its ad retargeting capabilities to target users across their devices. For instance, if someone searches for your product or service on their phone, clicks on your website and leaves, you’ll be able to serve them ads on their tablet, laptop or desktop computer—or all three over a certain period of time. You will also be able to track which devices were used in the consumer’s path to conversion. 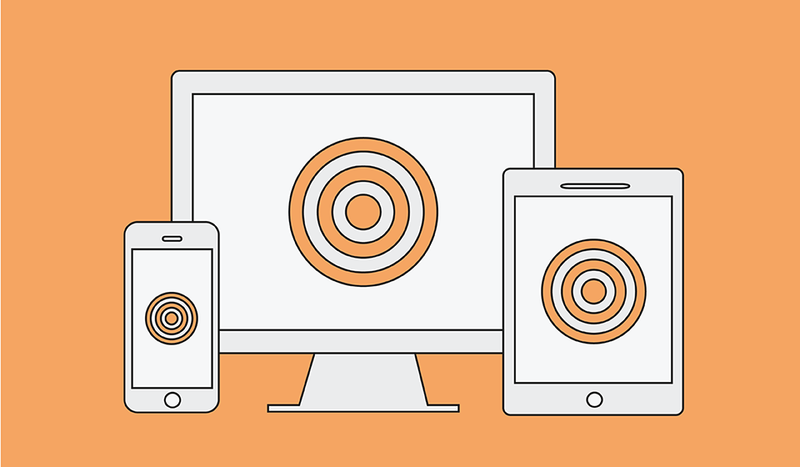 Before we get into cross-device retargeting, let's talk about how retargeting works. Retargeting is the advertising practice of serving ads to people who visited your website but didn’t convert. Converting means the user completed an action you wanted them to complete, such as buying an item they added to their shopping cart. Cross-device retargeting means that advertisers can serve retargeting ads to people across multiple devices. Retargeted users could now be shown ads on their phone, tablet, desktop computer, etc. This feature will only be available to users who are signed into their Google account on multiple devices for now, though. Advertisers will be able to retarget users with ads both on Google's display network and in search results. This means if someone visits your website and leaves, you'll be able to retarget them both on other websites and in searches on the user's other devices! You'll be able to keep your business fresh in consumers' minds across their devices and across the Internet. You will also be able to track the consumer’s purchase path across devices. To help with this, Google will be releasing three new reports in the Attribution section of AdWords. Think of attribution as giving credit. In this case, Google attributes a conversion to a specific click or device. You’ll be able to see how much cross-device activity is happening in your AdWords account. You’ll see how often assisting devices are involved in the customer’s purchase path as well as what type of devices were involved, such as smartphone, tablet or desktop devices. This report shows you the top conversion paths for your ads, so you can see which devices customers convert from most often! Why should you try cross device retargeting? Retargeting on its own is a great way to serve ads to people who have already interacted with your business or brand online. Retargeting ads can keep your business fresh in local consumers’ minds, and when website visitors are served with retargeting ads, they are 70 percent more likely to convert. According to a Google/Ipsos study, cross-device retargeting and attribution are important because 60 percent of all Internet users begin shopping on one device but end on another. A user might click a Facebook ad on their smartphone, check out the product in the ad, add it to their cart and leave before checking out. Maybe later, when the user is at home, they log in to check out on their desktop computer, get distracted, come back and order from their tablet while watching TV after dinner. Before this update, which includes new ways to track attribution (which click led to the conversion) and the consumer’s path to purchase, it was difficult to follow a user’s actions through the stages of retargeting conversions. Now, however, as long as the user is signed into their Google account, advertisers will be able to see which devices were involved in conversions. They will also be able to retarget users over a certain amount of time across their devices. Not only is cross-device retargeting great for keeping your business fresh in the minds of consumers, but it also helps define your audience and target only users who have engaged with your website in some way. How can local businesses get started with cross-device retargeting? The first thing you need to do is get started building a retargeting list in AdWords. To build a list, you’ll need to drop a pixel in the HTML of your business’s website. Here are instructions for putting an AdWords pixel in the footer of your site. My advice to local businesses that want to get started with retargeting is to start building your retargeting list as soon as possible. The sooner the list is built, the sooner your ads will display for retargeted users across their devices. You’ll have to build a list of 100 users to retarget before you can start serving retargeting ads, so get started now so that you can serve retargeting ads once this update is rolled out. When can you expect to see the update to your AdWords account? The change will be rolling out over the next several weeks, so keep an eye out for this exciting new way to track retargeting conversions across multiple devices! Contact one of our paid advertising experts today to learn how you can get started with cross-device retargeting! Google AdWords Why Don't I See My Google Search Ads?